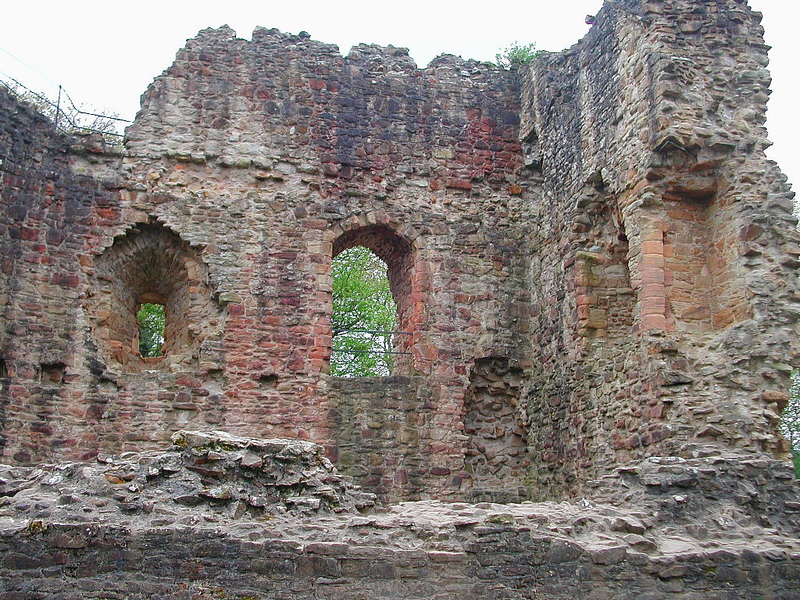 he hallmark of the native Welsh castle is the apsidal or D-shaped tower. Oftentimes, the Welsh castle contained one tower (the keep) and a small enclosure, or two towers, one of which would be D-shaped. While the English built both rectangular and round towers, the Welsh took the benefits of both designs and created the D-shaped great tower. The exterior face was curved and offered a wide field of fire, while the flatter interior face allowed for more spacious interior rooms, and thus were more livable. The curved face could also withstand undermining and bombardment much better than a flat surface. Castell y Bere, Ewloe (pictured above), Carndochan, and Dinas Bran in the north are all marked by apsidal towers, while in the south, the castles at Dinefwr and Dryslwyn also had D-shaped towers.